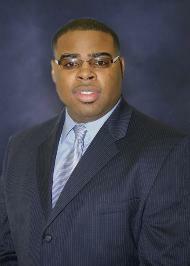 Darius D. Brown was born and raised around the Church of God. As a teenager, God showed him the need to repent of his sins and live a Godly life so he did just that. He stayed true to God, and after several years of consistent holy living, felt a call from God to preach the everlasting Gospel (Isaiah 50:4). He prayed and talked with his Pastor and kept it on the altar as he wanted to be sure this was God's will for his life. While seeking the Lord about this, God put a desire for companionship on his heart and after about two years of a holy courtship, he married Sis. Donna Haynes in 2003. He publicly acknowledged his call to the ministry in the fall of 2004. Bro. Darius believes God has given him a charge to inspire, instruct, and increase God's people and strives to be faithful to his calling. His wife is an asset to his ministry and labours by his side in the fields of mission work. His desire is to be a faithful saint of God and to make full proof of the ministry that has been delivered to him from God.